Chances are, you’ve been thinking about this all wrong. You may have first heard about lactate from a trusty high school coach, explaining why your legs burned at the end of a really hard sprint. Or perhaps you read about it in a popular book or magazine. But no matter how it was added to your knowledge base, you now need to unlearn it… and re-learn the correct concept. The concept of “lactic acid burn” during intense exercise has been debunked for nearly 40 years, however, the notion refuses to extinguish itself from common ideology. The belief still blazes hot, but thankfully, some keen folks are catching on and trying to spread the good word. In May of 2006, the New York Times published an article on the use of lactate as a fuel (even though they still mistakenly called it “lactic acid”… at least they were moving in the right direction). 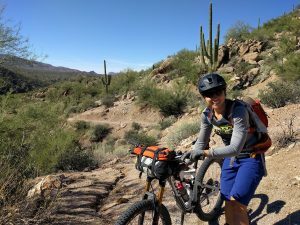 Even VeloNews has caught up with the correct science, publishing an article in 2014 on the original nature of the bad idea, admitting to how we have been speaking about it in error for too long of a time. With the proper scientific know-how bequeathed to me by an excellent graduate mentor (who wrote his doctoral dissertation on lactate metabolism), I got Gu Energy Labs to remove it from their product marketing after consulting their R&D department. Ironically, their researchers studied under the man himself who figured it all out in the 1980’s, Dr. George Brooks at the University of California, Berkeley (here is a link to his 1985 article on the topic). The work ethic and self-realization required by all of us to unlearn and re-learn what we thought we knew is mentally tough, that is a fact. It’s human to accept and hold onto things that confirm our biases and identities. But why wouldn’t you want to be equipped with the truth, and why is that so difficult to accept? Why the confusion in the first place? Leave it to Louis Pasteur, the famed French microbiologist responsible for developing anthrax and rabies vaccines, as well as the bacteria-killing pasteurization process for boozie drinks and milk. While conducting research involving yeast and alcohol production in 1857, he discovered that yeast converted sugar into lactic acid when oxygen was not present. To piggyback on the idea that production of lactic acid resulted from non-aerobic sugar metabolism, German biochemist Otto Meyerhof and physiologist A.V. 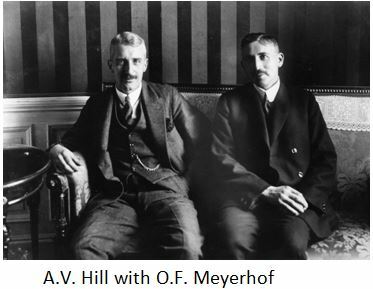 Hill, both Nobel Prize winners, produced theories relating blood oxygen status and oxygen debt to lactic acid production. Their research concluded that as exercise intensity increased to a point where working muscle was becoming oxygen deprived (delivery could not meet demand), “lactic acid” accumulation in the blood would simultaneously increase. And because of this, until the 1980’s, we believed this tiny little carbohydrate was a worthless byproduct… and an athlete’s worse nightmare. BUT… basic chemistry proves them wrong (yes, it’s simple math). Yeast and humans. You can’t feasibly put a square peg in a round hole without some legitimate manipulation. Both yeast and humans are living things, but not the same when it comes to sugar metabolism. They are not like Jenny and Forest – they are not like peas and carrots. Thing one: The human body, specifically our blood, must maintain a pH of about 7.4, on average. This is a tad more basic than neutral (water is neutral, which is a pH of 7 – see the figure above). The pH in blood that is around skeletal muscle drops a bit, to about 7.3 – this is mainly due to CO2 production, which is an acid. Within the muscle itself, the pH is about 7.15. During exercise, pH in skeletal muscle will drop even more (the environment becomes more acidic). As intensity increases, both lactate production and acidity increase, and pH can drop to about 6.6 (this would be at prolonged, maximum effort). But generally speaking… there isn’t a whole lot of room for fluctuation. Thing two: The pKa for lactic acid is 3.86. Basically, at a pH of 3.86, which is very acidic (approaching stomach acid), the hydrogen that makes the molecule “an acid” will dissociate, or “come off.” When this happens, the molecule is now in it’s base form, known as lactate. *NOTE: lactate and lactic acid are not the SAME, even though people use the terms interchangeably. At any given molecule’s pKa, there are equal parts of acid and base present. Put the numbers together. If our body’s lowest pH in muscle is 6.6, and the pKa for only 50% of lactate to exist as lactic acid is 3.86… the numbers do not add up. Something would be terribly wrong if lactic acid was accumulating in our blood or muscle (basically, we would be dead). So, at a normal physiological pH of 7.4, the molecule must be in its base form, as lactate, and it isn’t just lolly gagging around in our muscles. Then what is the burn? Simply put, it’s the excess H+ (acid) ions produced from splitting adenisine triphosphate (ATP), the molecule that gives us energy to do work (the very molecule we produce when we eat and metabolize food… the molecule that pretty much allows us to be alive). When you surpass your anaerobic threshold (i.e. high intensity exercise like sprinting, or prolonged exercise), you are using primarily carbohydrates for fuel, particularly glycogen, the stored form of glucose. We will use cycling as an example because the sport uses primarily the legs to do work. At the point where the cyclist is becoming exhausted, tired, and legs are burning, his leg glycogen is becoming depleted. He needs to get fuel (glycogen) from other parts of his/her body to keep going, and the body is equipped to do this… lactate! The lactate shuttle hypothesis explains how lactate, as a carbohydrate, can be delivered all over the body to where fuel is needed – most importantly during exercise, the heart and working muscles. When glycogen is broken down, it is done so without the need for oxygen. When glycogen is the initial source of carbohydrate during high intensity exercise, lactate is the final product. And, because glycogen is signaled to be broken down all over the body, including the arms in our tired cyclist, the lactate that is formed enters the blood and is “shuttled” to where it is needed – the legs. The muscles actually prefer lactate, and they soak it up. And when it enters the muscle cell… (get this! )… there is an intracellular lactate shuttle – a specific protein transporter allows it to enter the mitochondria, making it a link between anaerobic and aerobic metabolism! 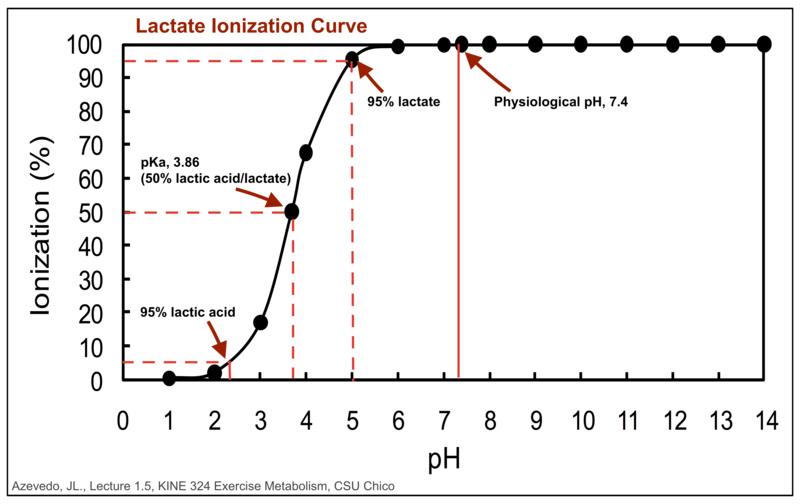 In this sense, going against what Pasteur and Hill originally concluded, lactate is absolutely useful. Because our cyclist’s need for ATP to continue exercising exceeds the local supply of fuel to make more, lactate is the only way he/she can keep pedaling. It is a preferred fuel source during intense exercise – muscles use it first, over glucose and fat. This is the very reason it is in Cytomax. In the liver, lactate can be converted back to glucose for use as fuel. During recovery, lactate is metabolized to RESTORE glycogen that was depleted from the liver and muscles! 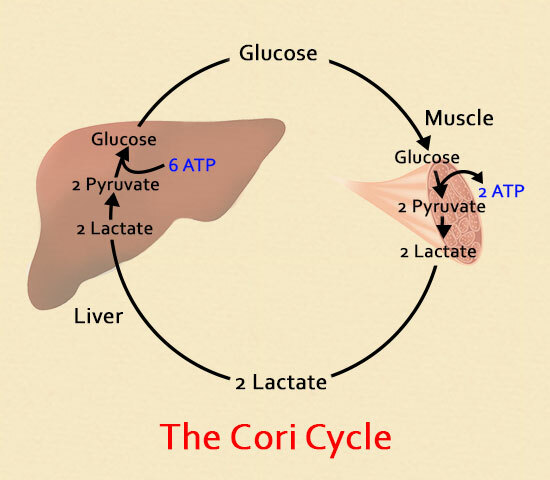 This is called the Cori Cycle, named after it’s founders, Czech biochemists Carl Ferdinand Cori and his wife, Gerty. It relocates (“shuttles”) carbohydrate from non-working muscle to working muscle. The intracellular lactate shuttle may be a target to treat cancer. Lactate actually gets rid of the burn. But even after reading all of this, you may still say, “But there are still a lot of random articles written on “lactic acid” burning.” You’re not wrong – there are, and this is unfortunate. However, the science has been debunked for a long time. Improperly educated coaches, academics, etc., will pass along what they learn and pick up from others, which is not always correct. So the misinformation continues to be out there. However, if you made it this far, give yourself some kudos, and pass along the good word. P.S. I want to thank Dr. Jack Azevedo for his fantastic attitude and patience as a professor while teaching this concept to students. You do great things! Brooks, G. A. (2012). Bioenergetics of exercising humans. Comprehensive Physiology. Brooks, G. A. (1985). Lactate: glycolytic end product and oxidative substrate during sustained exercise in mammals—the “lactate shuttle”. In Circulation, Respiration, and Metabolism (pp. 208-218). Springer Berlin Heidelberg. Brooks, G. A. (1986). The lactate shuttle during exercise and recovery. Medicine and science in sports and exercise, 18(3), 360-368. Brooks, G. A., Dubouchaud, H., Brown, M., Sicurello, J. P., & Butz, C. E. (1999). 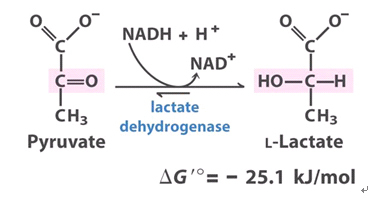 Role of mitochondrial lactate dehydrogenase and lactate oxidation in the intracellular lactate shuttle. Proceedings of the National Academy of Sciences, 96(3), 1129-1134. Brooks, G. A., Fahey, T. D., & Baldwin, K. M. (2005). Exercise physiology, human bioenergetics and its applications. New York: McGrawn-Hill. Cruz, R. S. D. O., de Aguiar, R. A., Turnes, T., Penteado Dos Santos, R., Fernandes Mendes de Oliveira, M., & Caputo, F. (2012). Intracellular shuttle: the lactate aerobic metabolism. The Scientific World Journal, 2012. Draoui, N., & Feron, O. (2011). 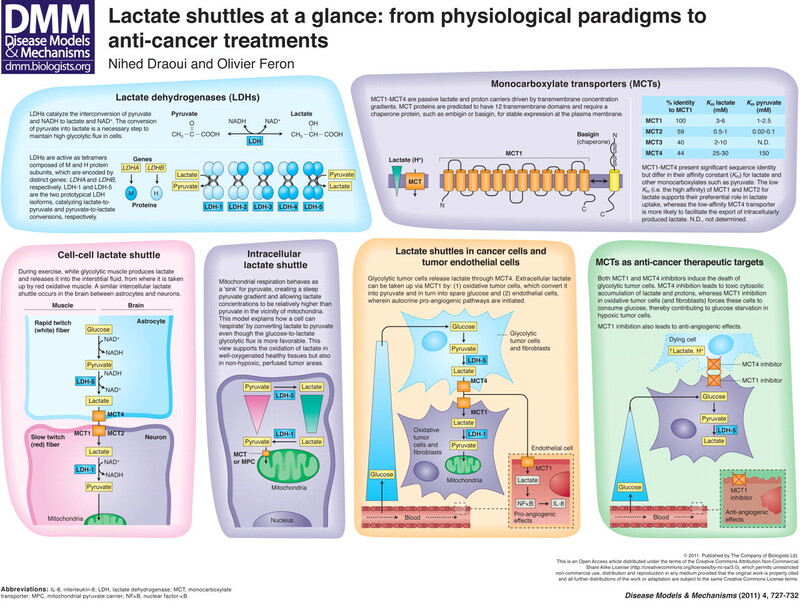 Lactate shuttles at a glance: from physiological paradigms to anti-cancer treatments. Disease Models and Mechanisms, 4(6), 727-732.
cycling, exercise, lactate, lactic acid. Bookmark.